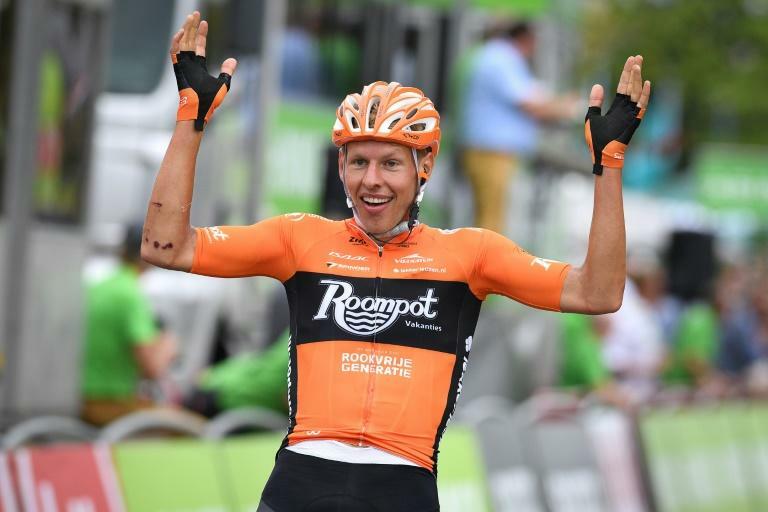 Taco van der Hoorn launched a late break to burst free of his fellow escapees and win Wednesday's third stage of the BinckBank Tour in Antwerp. The Dutch rider hit the accelerator a kilometre from the end of the 174.9km ride from Aalter to distance Maxime Vantomme, Sean De Bie and Matej Mohoric. Slovenia's Mohoric took over the leader's jersey from Swiss Stefan Kung, who was the victor in Tuesday's time trial. The seven-day race, won last year by 2017 Giro d'Italia and world time trial champion Tom Dumoulin, concludes on Sunday.